It's a perplexing display of magic, suggestion and psychology. and maybe even learn how to do it yourself!" Click above button to purchase tickets online or call 705-326-8011. 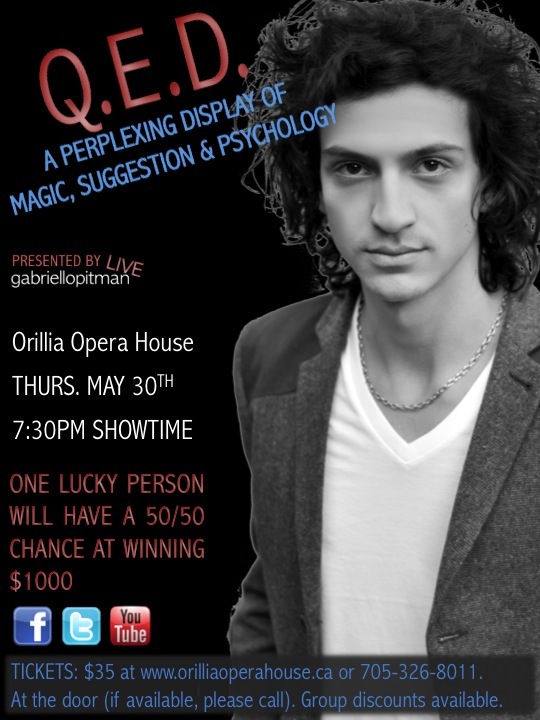 To schedule an interview, please call 866-386-1340 or email promo@gabriellopitmanlive.com.